Marketing in all its many forms consistently influences food preference, choice and purchasing in children and adults. 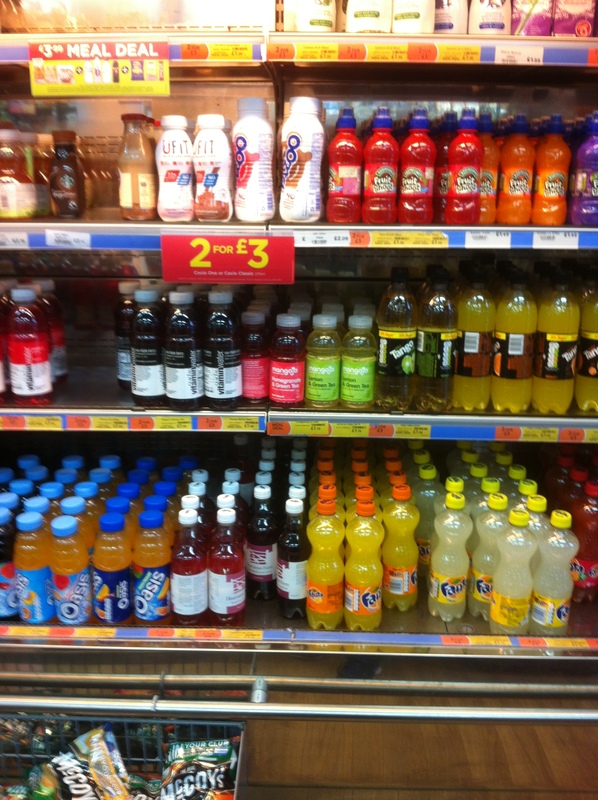 End of aisle displays, for example, leads to a 50% increase in purchases of fizzy drinks. Food promotions are more widespread in Britain than anywhere else in Europe, accounting for around 40% of all domestic food and drink spending. Price promotions increase the amount of food and drink people buy by around one-fifth. These are purchases people would not make without the in-store promotions. They also increase the amount of sugar purchased from higher sugar foods and drinks by 6% overall and influence purchasing by all socioeconomic and demographic groups. Thanks to Stephanie for spotting this job with MIND the mental health charity. The work is in Brighton and Hove and fits well with mental health promotion and advocacy principles. In a bid to increase transparency, Coca-Cola has disclosed spending US$118·6 million in the past 5 years on scientific research and health and wellbeing partnerships. What are your views on health organisations receiving such funding from the food and drinks industry? A severe conflict of interest or doing something good with ‘dirty’ money?